Learn to program and tinker using high engaging materials and coding platforms. By the end of camp, students will have built remote control robots and started to explore the creative aspects of building using technology. This program is created by high profile maker education teacher, Sam Patterson EdD, and a passionate international educator and researcher, Hiroo Kato. It is a pocket-sized computer that allows for creativity with digital technology. It has 25 red LED lights that can flash messages and be used to create games. There are two programmable buttons that can be used to control games or pause and skip songs on a playlist. It has an accelerometer so it can detect motion and knows when you’re on the move. The built-in compass knows which direction you’re heading in and it can use a low energy Bluetooth connection to interact with other devices and the Internet. 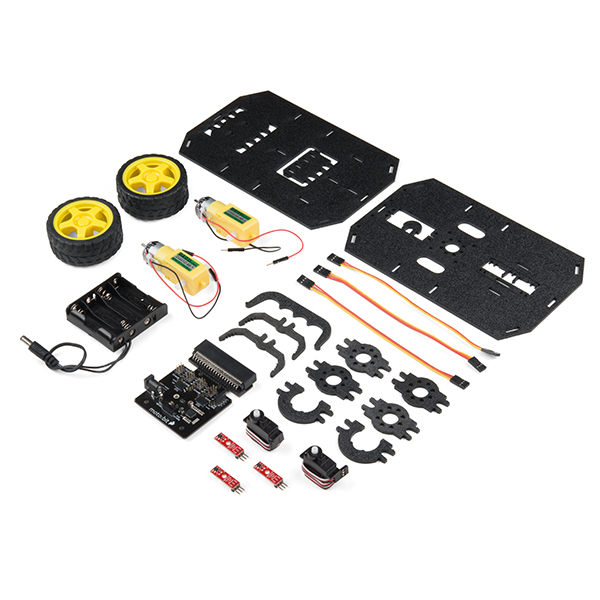 What is a SparkFun micro:bot kit?